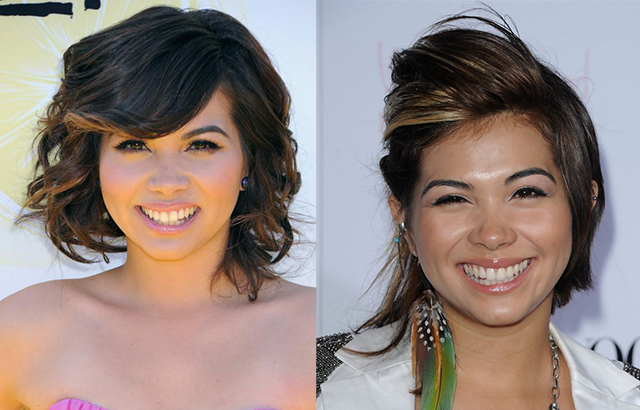 Hayley Kiyoko was raised in LA and was approached by former pop-star Vitamin C to join an all-girl band named The Stunners. After they released the music video for their single “We Got It” they were signed to Universal Republic Records in 2010. They premiered their music video June 2nd. The group was announced as an opening act for Justin Bieber’s My World Tour and a full album was planned, but the group split shortly after the announcement. The American pop girl group were together from 2007 until 2001. Hayley’s mom is originally from Canada (Japanese descent) and her father is from Ohio (English and Scottish descent). She was born Hayley Kiyoko Alcroft on April 3, 1991 in Los Angeles, California. Hayley was discovered while attending a photo shoot with a friend when she was five years old. She found her love for acting at a very young age and started acting in commercials for products such as Cinnamon Toast Crunch and Slim Jim. After Hayley graduated high school in 2009 she landed her first big job with the Warner Premiere as Velma Dinkley in the television film Scooby-Doo! The Mystery Begins (below). Hayley Kiyoko also guest starred in four episodes of Disney’s Wizards of Waverly Place (below). Photo below taken 2015. This entry was posted in Women Crush by Janey Grace. Bookmark the permalink.